At Magma People we believe in doing whatever it takes to achieve outstanding results for our clients by helping them to identify, attract and retain leadership talent. We don’t slavishly adhere to a rigid structure or process – instead we assemble each project team and develop each assignment approach around the unique needs of each individual client. In doing so we are able to draw upon a global network of Associate Consultants with specialist automotive industry sector and discipline knowledge and experience. We combine this with internationally experienced, multi-lingual research capability and dedicated project management resource to create bespoke client assignment teams. At Magma People we work hand in hand with our clients to help them build world class organisations with high calibre leadership capability at every level. We combine bespoke research and candidate identification with expert evaluation and profiling, interview management and contract negotiation support. Every candidate is assessed in detail, not only on their technical abilities for the role in question but also on their leadership skills and developmental potential for the future. They are evaluated through in-depth competency-based interviews, psychometric profiling and benchmarking against our proprietary, industry-based Leadership Aptitude Profile. 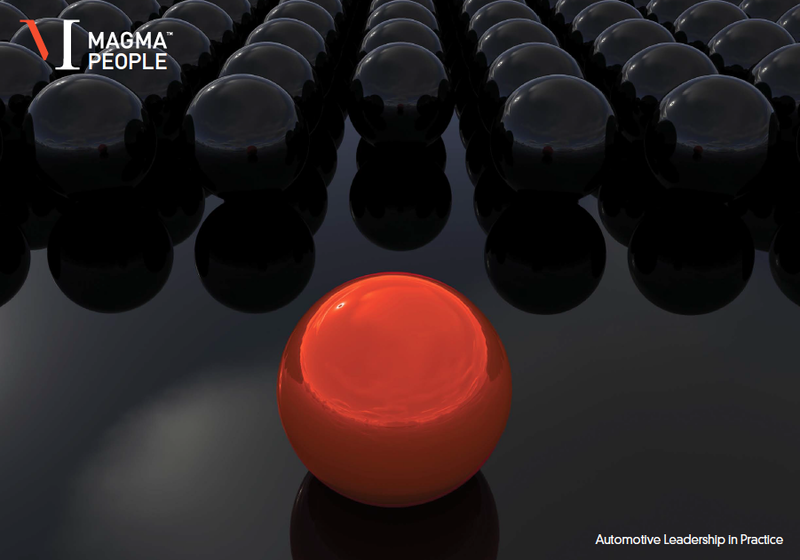 Magma’s unique combination of associates with specific automotive sector and discipline experience and an unparalleled global industry contact network enable us to identify the best leadership talent quickly and accurately. As much as we focus on the needs of our clients we also work hard to develop our network of high calibre individuals across the global automotive industry – not only amongst the senior executives of today but also the leaders of tomorrow. We believe it is only through a thorough understanding of the professional circumstances and career aspirations of each individual that we can match them with the perfect role. As the global industry evolves the most progressive companies are increasingly taking a more flexible approach to senior resourcing, particularly when it comes to transitional roles focused on business change and restructuring. Magma People maintains a proprietary Talent Pool of over 200 internationally skilled independent consultants and interim managers with over 5,000 years of combined knowledge and experience. Between them they cover the full range of disciplines and industry sectors and are available for fixed term engagements ranging from a two week evaluation assignment to a one year turnaround project. Leadership is not the sole preserve of the boardroom. Strong companies recognize the need to attract, develop and retain leadership talent throughout the business – nurturing the next generation of leaders to ultimately replace those who set the strategic direction today. Magma People offers a suite of diagnostic and development tools from leadership evaluation and skills assessment to coaching and mentoring programmes for newly appointed executives. Magma People provides a range of board level services from bespoke search to the provision of senior advisers. Also within Magma’s talent pool are a number of senior industry executives, semi-retired or partially engaged, available for assignment, who divide their time between coaching and mentoring, advisory work and Non-Executive roles.